College Woods is just a short walk from the center of campus, right next to the outdoor track. If you have an itch for hiking, biking, running, walking—yes, even hammocking—and you wood like to channel your inner Thoreau, then College Woods might just be your next great escape. The balancing act known as college: schoolwork, friends, student orgs, clubs, your work study and getting that paper in on time can seem awfully difficult, especially when it leaves little time to yourself. We all know how important it is to be involved through campus run activities, but it’s just as important to take care of your mental health and well-being. That’s why if your feeling stressed or overwhelmed, taking a walk can release some of that tension as well as boost the endorphins in your brain. The sixty-acre woods was donated to the University in the late 1800s. Since then, it has become a New Hampshire novelty. 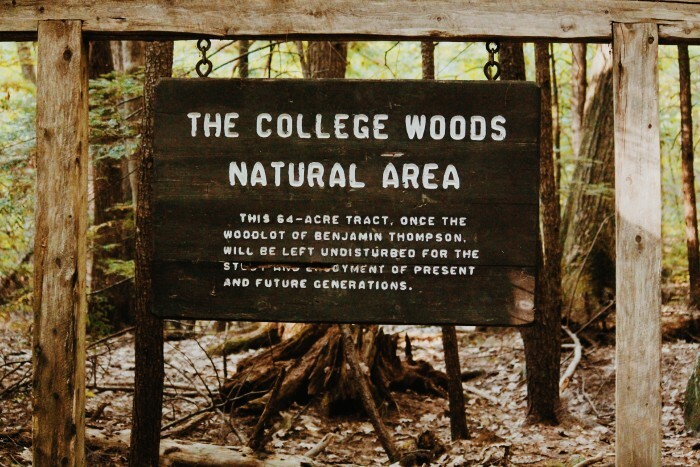 What makes College Woods unlike other recreational trails is—like many protected forests and parks across the country—the University has taken as little action as possible from altering the natural processes of decaying forestry. Feel free to explore them yourself and the many species of plants and animals that inhabit them throughout the year. 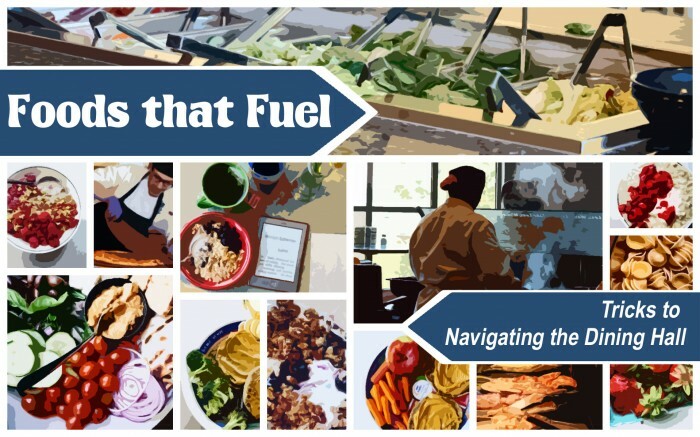 To find more physical wellness head on over to Campus Recreation, where you’ll find everything from group fitness classes to sign-ups for intramural sports.